When I was a kid and I use to see my mom working so hard for the family, I use to wonder how she manages this all, with a smile on her face and always ready to help others, anything and everything for her kids. Now after becoming mother, I correlate everything and now can understand her struggle and pain and her strength that made her work so hard for her family. Mothers are strong creatures who can fight with the world for the sake of her kids. The journey starts from bringing them to the world than taking care of their small needs, feeding them, teaching them, making them good human beings by giving them right moral values, protecting them, supporting them. So parents especially mothers are Pillar Of strength for their kids. I have three small kids, a son and then two daughters. They are school going kids . I have several sweet memories of my motherhood. The awesome feeling when I became Mom for the first time, I was on a cloud9 feeling that I have achieved something great in my life. The happiness when my son called me MAMA for the first time. Then when my daughters were born I felt my family is complete. Almighty has given me everything in my life. My world revolves round my kids. Their likes and dislikes are now my likes and dislikes. Since they do not like spicy food, I put less spice in curries. Since they love watching cartoons, I also watch the cartoon with them and I really enjoy spending quality time with them. Everyone laughed, he got admission but I still laugh on this innocence of his. 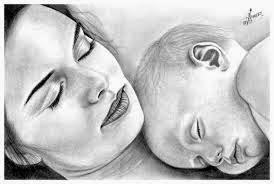 So I feel a woman becomes complete when she becomes a mother because by becoming a mother she learns how to give unconditional love and affection to others. Very nice work. I really enjoy reading your blog. Well done.